My name is Beryl Waswa, but my friends call me Bewa. I am a graduate of Maseno University with a BSc (Actuarial Science) degree. I have always loved mathematics, majorly because there is always something new and fascinating to learn in mathematics, and also because I wanted to make my mum proud. My journey in mathematics has been one filled with significant successes and failures, but never did I dislike mathematics. Besides mathematics, I love psychology and counselling, I have a gift to encourage, and I love doing it. It’s my passion to speak hope to everyone who needs to hear it. I joined AMI in 2017 on Industrial Attachment, and then later continued working with AMI as an intern. I am here as part of the documentation team, where we do the documentation for the R-Instat software, this entails making video tutorials and guides for the end users. 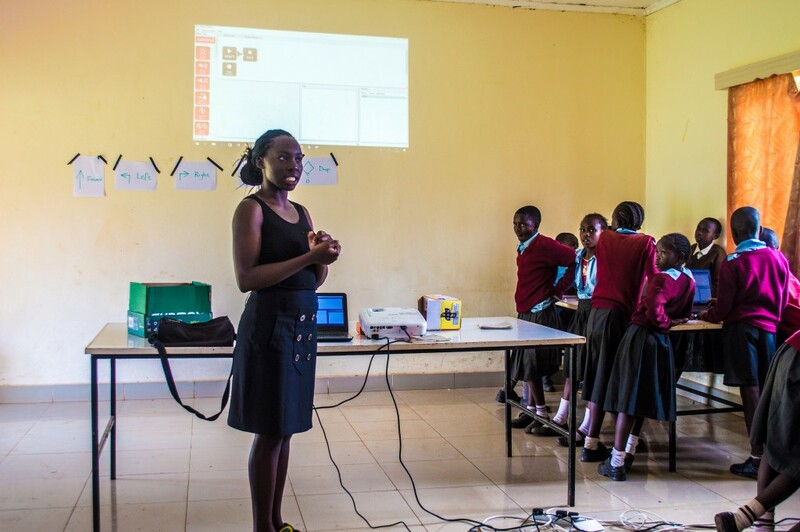 I have also been involved in Math Camps and Africa Code week initiatives as a facilitator. These activities have given me great joy in working with young mathematics learners. It is incredible how mathematics is being kept alive in this organization. I have met great people and made great friends because we all are championing for mathematics.